Shopping cart chairs. Comissioned by an art gallery in Philadelphia. 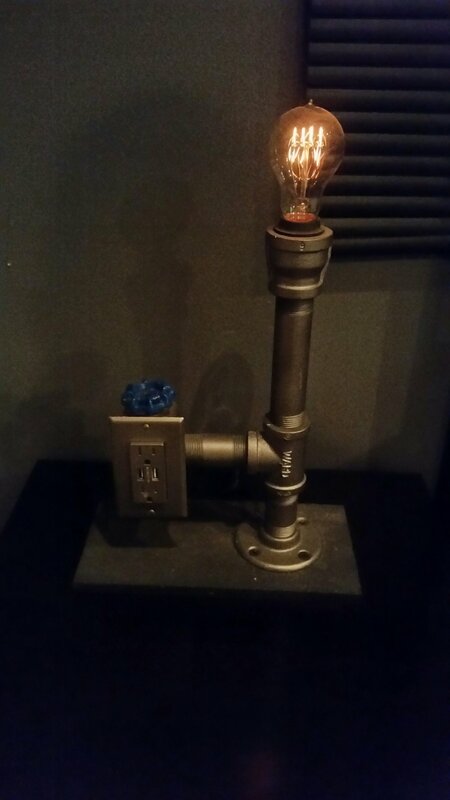 Pipe lamp with Edison bulb and garden faucet as switch/dimmer. Steel mobile for a local artist featured at the Greenwich Art Gala. Desk lamp from an old forklift chain and channel.